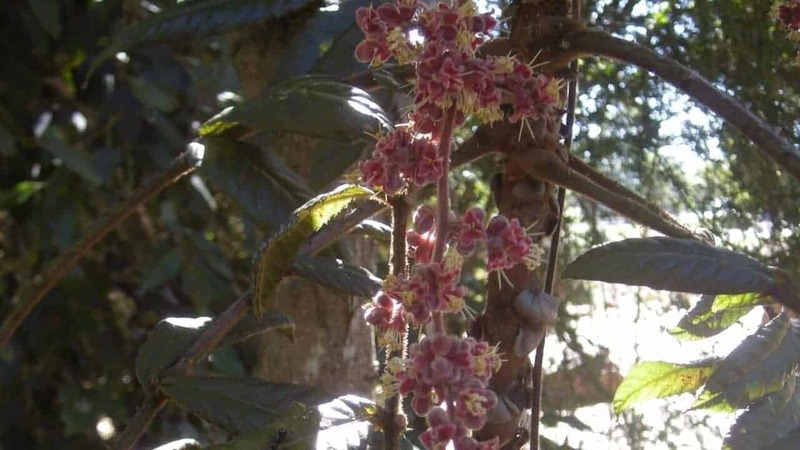 Ooray, also called QLD Davidson Plum, has been an Aboriginal favourite for thousands of years. It produces beautifully tart plum-like berries rich in antioxidants and vitamins; research is currently being conducted into their potential anti-aging properties. Ooray is a rainforest species native to northern Queensland. From November to February, attractive pendulous sprays of reddish flowers with yellow stamens appear along branches or the trunk. These develop into fruit between February and May, extending through to August in some years. Fruits are 50mm across with purple skin and vivid red flesh. Their refreshing and delectable sourness lends well to both sweet and savoury products, such as jams, jellies, cordials, wines and meat sauces. Ooray are known to have high levels of natural pigments and are strong in antioxidants. To harvest, give the trunk a firm shake – the ripe fruit will readily fall from above. Ooray can be grown in part shade; protect from harsh sun, frosts and winds when young. It prefers moist and fertile soils, but will tolerate poorer soils. It is troubled by few pests and diseases. 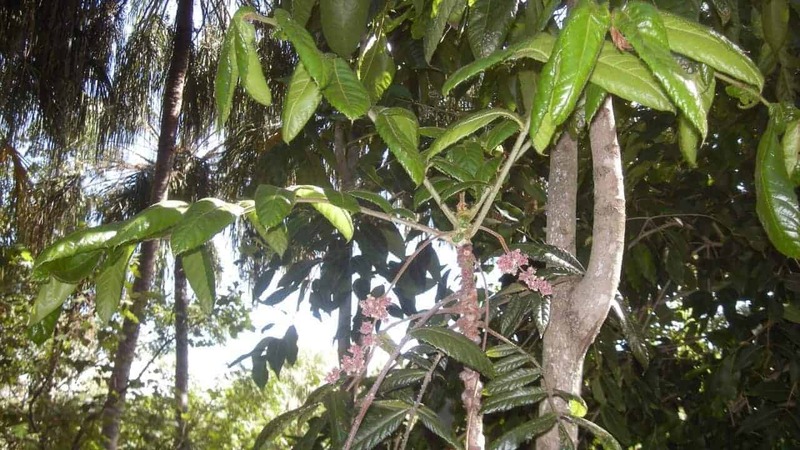 This is a medium-sized tropical/subtropical ornamental tree, growing to between 4 and 8 metres in the garden. It presents a slender palm-like silhouette with large, drooping leaves. Perfect for narrow spaces or as a central feature or shade tree. My Ooray fruits look deformed or full of holes. What’s going on? Ooray doesn’t suffer from many pests and diseases. Chances are, you’re sharing your fruit with a variety of other hungry creatures like flying foxes, rodents, parrots, worms, moths, caterpillars and fruit flies. Why are the leaves of my Ooray are turning brown/black? How do I get rid of a fruit fly infestation in my Ooray? Regularly inspect your plant for fruit fly larvae, and set traps around the tree to catch mature insects.